In fluid dynamics, compressibility is one of the major factors that determine the nature of fluid. This measurement is necessary to understand the response for pressure change during compression on the gases.It is denoted by (1/ K). 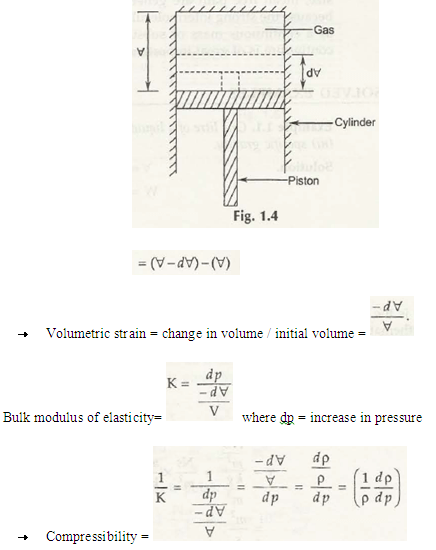 It can be defined as the ratio of change in pressure to volumetric strain. It is denote by K.
As compare to liquids, compressibility of gases is high.